It&apos;s Friday, and you know what that means. Time to load up the trunk with heavy pharmaceuticals and enjoy a bender in Vegas? 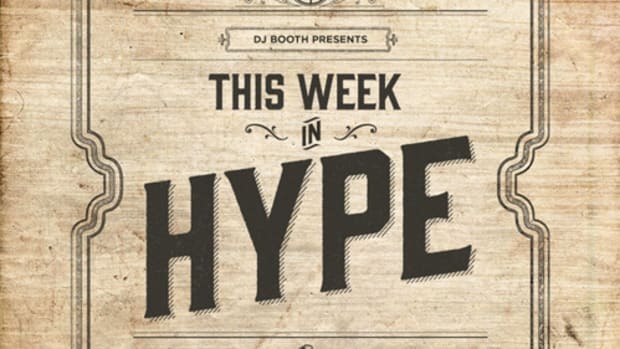 Or, you could enjoy another edition of the "This Week in Hype" podcast. Either way. Actually...feel free to listen during your bender. Yeah, that might be the best plan. This week, there&apos;s no guest, so I tell some stories about the trials and tribulations of trying to schedule rapper interviews, have a honest conversation about Nicki&apos;s "Only" video and basically insanely ramble for long stretches. * As always, shouts to Tino for that dope theme song. You should follow Tino and hear his story in full on the podcast. * There&apos;s no guest this week, mostly because rappers become rappers because they have problems showing up on time for things. I tell a few stories about the joys and pains of trying to schedule anything with an artist. * It&apos;s almost impossible to have an honest conversation about a complex issue like the Nazi strains in Nicki Minaj&apos;s "Only" in an internet comment section, so I try to give it a go via the podcast. * In the spirit of sharing amazing stuff, you should read this Brian Phillips piece and watch "High Maintenance." * I&apos;ve been thinking of launching a financial advice column - anyone interested? * This week&apos;s closing track, "Without" by Sampha, which I&apos;ve been moderately obsessed with this week. * Subscribe to the podcast on iTunes and only all the good things in the world will happen to you ever. [Nathan S. is the managing editor of The DJBooth and a hip-hop writer. He also occasionally talks in podcast form and appears on RevoltTV. His beard is awesome.